Is the Antarctic gaining or losing ice? Yesterday I took a look at the latest NASA study claiming that the Antarctic has been losing ice since 1992, in stark contrast to another NASA study in 2015, which claimed the opposite. The new study comes from the ice sheet mass balance inter-comparison exercise, IMBIE, which has a totally different methodology than the 2015 research by Jay Zwally. 2) Drainage, either where the ice flows away to melt, or is calved. The Zwally study attempted calculate how much the ice sheet is growing or shrinking from the changes in surface height that are measured by the satellite altimeters. IMBIE however use a different approach to measuring SMB. Rather than attempting to measure surface height, they rely on atmospheric models to guesstimate the amount of snowfall, assuming that sublimation and meltwater is relatively insignificant. There are, of course, huge uncertainties about both approaches. Snowfall is very difficult to measure over Antarctica. For starters, there are very few weather stations in the frozen continent, and most of them are installed along the coastline. Secondly, satellites have a hard time measuring snow from space – they basically confuse the snow that’s falling down with the snow that’s already on the ground. Climate models struggle to replicate the total amount of snow that falls over Antarctica each year. So scientists often have to rely on ice cores, cylinders of ice drilled from the ice sheet whose layers store a trove of information; amongst it, how much snow fell in a certain year or decade. But drilling ice cores is logistically challenging, so they are sparse and do not cover the entire continent. This study instead used ice cores, and concluded that snowfall had slightly increased during the 20thC, something that would logically follow from a warmer climate. But whether you use ice cores, climate models or weather stations, the results will be subject to massive uncertainty. Indeed, many would argue the results are worthless statistically. Zwally’s satellite approach has its own drawbacks as well, not least the problem of allowing for Glacial Isostatic Adjustment. This is to compensate for the fact that the land is rising where glaciers are melting, and sinking where ice mass accumulates. Which approach is better, I have no idea. But what is clear is that calculations of snowfall are absolutely critical to the final equation, as snowfall is such a significant contributor. According to IMBIE, net accumulation of ice (ie snowfall minus evaporation/meltwater) is 1994 Gt/yr. Yet their claimed net ice loss over Antarctica between 1992 and 2017 is only 2720 Gt, which equals 109 Gt pa . In other words, their estimated ice loss is only 5% of the net accumulation. If that estimate is 5% too low, then Antarctica has gained ice, and not lost it. The claimed error margin over 1992 to 2018 is 1390 Gt. But this is simply made up. Statistically speaking, to estimate a margin of error you rely on the pool of data you have got. But as we have seen, this pool of data is virtually non existent. The true margin of error in Antarctica should reflect the lack of data, and not the variability of the tiny amount of data which you do have. As I stated yesterday, nobody has the slightest idea what is happening to the ice mass in the Antarctic, even to the extent of whether or not it is increasing or decreasing. In most disciplines, these sort of studies would be regarded as junk science – useful for comparing different approaches, but meaningless as far as results are concerned. Unfortunately the normal rules don’t apply to climate science, where money rules. As I also mentioned, the best method we have of estimating these sort of things is tidal gauges, which can give us accurate measures of relative sea level changes over a period of time. Consistently, wherever we look around the world, we find that the current rate of rise has changed little in comparison with the mid 20thC. If Antarctic ice melt really was accelerating, this could only mean that other factors were causing sea level rise to slow, such as Greenland ice melt, other glaciers, or thermal expansion. Either way, there is nothing in the tidal gauge record to support alarmist projections of rapidly rising seas. I follow the sunrise daily ice reports on arctic and antarctic extents and volumes. They are remarkably boring and consistent, in stark contrast to the MSM diet of alarmist papers infecting the pages. It seems that all scientists these days are searching for the holy grail of CAGW. No wonder they are getting into such a mess. 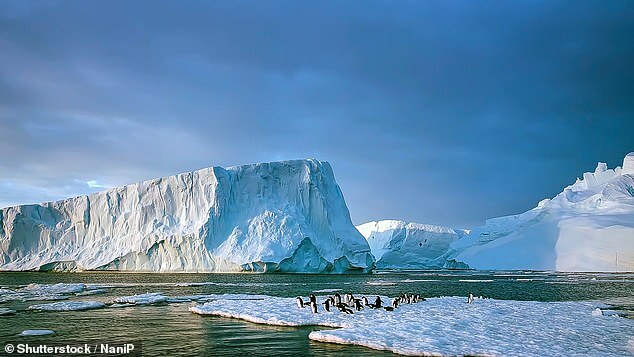 The Antarctic ice cap has been in place for at least 25 million years, possibly as long as 38 million. For at least 21 million years of the lower estimate the Earth’s temperature was well above current levels, even those warmer times in previous interglacials. I don’t think that the ice cap will be gone by the end of this century, or even some time after that. The whole point if Alarmism us to be Alarmist. The best way to do that is for scientists to make claims that cannot be refuted. This is about getting societal change, not advancing our knowledge. Zwally’s got another paper on the subject due sometime. What this article and the previous posting (Ocean Warming: Inadequate Data, Unknown Errors) illustrate is the complexity of the issue and the inadequacy of either our understanding or technology to cope with them in a meaningful way. When you politicize science, reality is the victim. Whenever you build a computer model, one needs to validate the model. It seems like the validation part of the process has been missed. Projections in this case are based on an unvalidated model. Sorry if this is an unnecessary detail but down there “the Antarctic” refers to the ocean as in discussions about sea ice and sea surface temperatures and ocean heat content and so on, and “Antarctica” refers to the continent as in discussions about ice sheet melt and sea level rise etc.